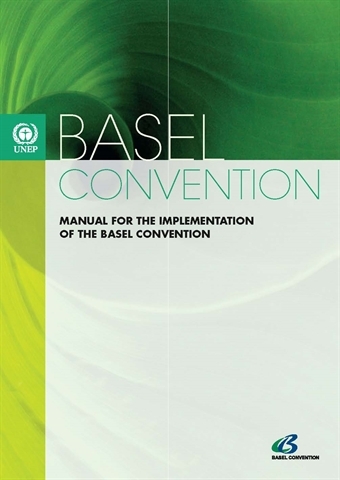 This guidance document provides practical and workable guidance for all actors involved in the control of transboundary movements of the wastes subject to the Basel Convention: competent authorities, as well as the various entities involved directly or indirectly in the implementation and enforcement of the Convention (e.g. Customs, port authorities, environmental inspectors, police, prosecutors, judges). The guidance also aims at harmonizing the way Parties deal with illegal traffic as the result of conduct on the part of the exporter or generator (paragraph 2 of Article 9), the importer or disposer (paragraph 3 of Article 9), as well as with cases where the responsibility for the illegal traffic cannot be assigned either to the exporter or generator, or to the importer or disposer (paragraph 4 of Article 9). It was developed by the Implementation and Compliance Committee with financial support from the EU and its member States as well as Japan, and adopted by the thirteenth meeting of the Conference of the Parties in May 2017 (decision BC-13/9). The main objective of the guide is to assist Parties where no statistical data are collected for the purpose of fulfilling their reporting obligations under the Basel Convention, as regards national inventories of hazardous wastes and other wastes. The development of inventories will enable Parties to get information on the status of the generation, transboundary movements and management of hazardous wastes and other wastes in their country. 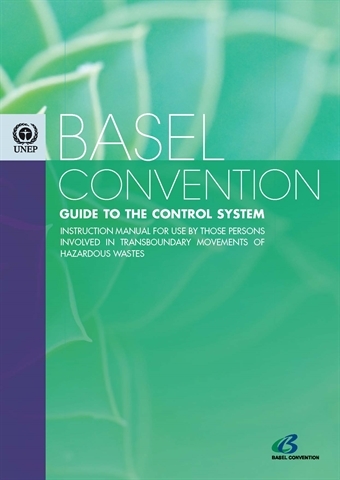 The Basel Convention establishes an internationally agreed binding mechanism to control transboundary movements of hazardous wastes and other wastes subject to the Convention. The Convention is required to be implemented into the national law of each party. 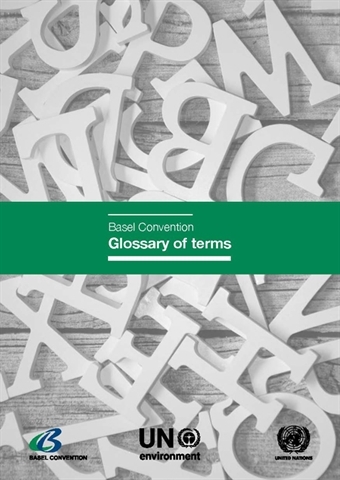 This Guide has been prepared with a view to providing a user-friendly explanation of the Convention and its control system, and facilitating the implementation of that control system. It is intended for use by persons involved in the transboundary movement of hazardous wastes and other wastes, in particular waste generators, collectors, exporters, carriers, importers and disposers. b. The checklist (see annex I) provides a concise table listing obligations that parties must, or should, implement in their national legislation. 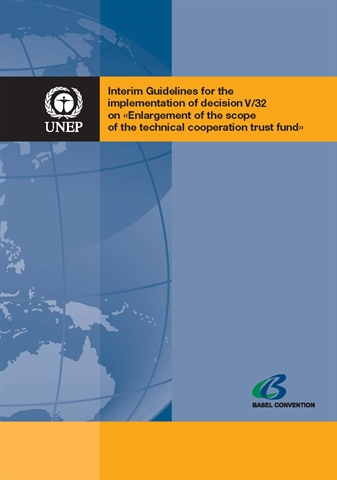 Interim Guidelines for the implementation of decision V/32 on "Enlargement of the scope of the technical cooperation trust fund"
In recognition of the importance of the role of national regulatory authorities in preventing illegal traffic, the Conference of the Parties adopted, by its decision VI/16 the “Guidance Elements for the Detection, Prevention and Control of Illegal Traffic in Hazardous Wastes”. These Guidance Elements are intended to provide a practical guide to assist enforcement of national laws implementing the Basel Convention. The current publication provides information on how to manage used and end-of-life mobile phones from the time they are collected up to and including their refurbishment, material recovery and recycling. It has been prepared by the Mobile Phone Working Group and was adopted in its entirety by the tenth meeting of the Conference of the Parties to the Basel Convention, held in Cartagena, Colombia from 17 to 21 October 2011. 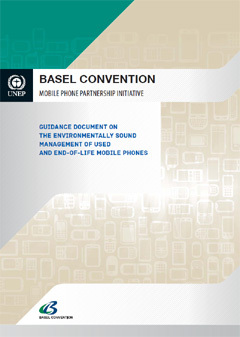 The publication provides general guidance pertaining to the environmentally sound management of used and end-of-life mobile phones that includes such considerations as awareness-raising on design considerations, collection, processing, refurbishment, material recovery and recycling. It also provides guidance on reducing or eliminating releases to the environment from waste disposal and treatment processes. It should be noted that each of these operations should employ best available techniques (BAT) and be in line with best environmental practise (BEP) so that releases of hazardous constituents are prevented or minimized. 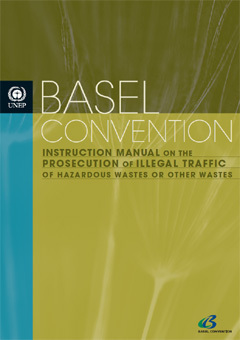 The Basel Convention Instruction Manual on the Prosecution of Illegal Traffic of Hazardous Wastes or Other Wastes manual was developed on the basis of a mandate from the Conference of the Parties to the Basel Convention and it was adopted by the tenth meeting of the Conference of the Parties (Cartagena, Colombia, 17-21 October 2011). It is intended to provide guidance for those involved in the prosecution of cases of illegal traffic in hazardous and other wastes. Global in scope, it provides practical information that will be particularly relevant for judges and prosecutors in their role in preventing and combating illegal traffic in hazardous and other wastes. The manual seeks to draw upon best practices and provides examples taken from the experience of Parties to the Basel Convention in prosecuting illegal traffic cases. 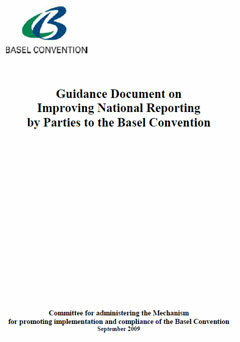 The purpose of the guidance document is to provide a guide for countries that require assistance on Elements and means by which national reporting practices could be enhanced. The guidance addresses, among other things, mechanisms for coordination amongst relevant governmental and relevant private sector entities or associations, procedures for collection and exchange of information, data collection techniques, as well as technical and human resources necessary to optimize the preparation of the annual national reports. This instruction Manual is a practical guide to implementation without any legally binding character. Nothing in this Instruction Manual should be construed as an agreement between the Parties regarding the interpretation of the protocol or the application of its provisions. 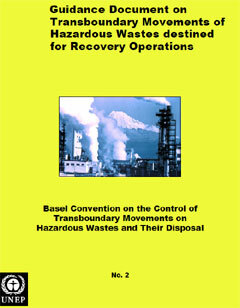 Article 12 of the Basel Convention on the Control of Transboundary Movements of Hazardous Wastes and their Disposal (the “Convention”) provides that “the Parties shall co-operate with a view to adopting, as soon as practicable, a protocol setting out appropriate rules and procedures in the field of liability and compensation for damage resulting from the transboundary movement and disposal of hazardous wastes and other wastes”. The Conference of Plenipotentiaries that adopted the Convention, held in March 1989, established a working group to develop elements that might be included in a Protocol on Liability and Compensation. The first meeting of the Conference of the Parties to the Convention, held in December 1992, decided to establish an ad hoc working group to consider and develop a draft Protocol on Liability. In 1993, on the basis of the work produced by the working group, the Protocol negotiations began. 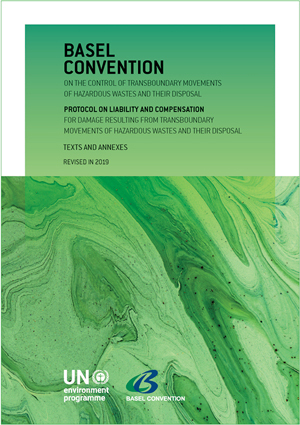 On 10 December 1999, the Basel Protocol on Liability and Compensation for Damage resulting from Transboundary Movements of Hazardous Wastes and their Disposal (the “Protocol”) was adopted by the fifth meeting of the Conference of the Parties. 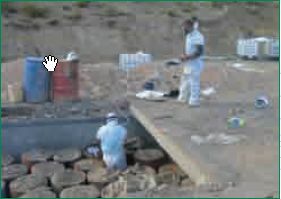 The Protocol is intended to respond to the concerns of developing countries about the lack of funds and technologies for coping with illegal dumping or accidental spills and its objective is to provide for a comprehensive regime for liability as well as adequate and prompt compensation for damage resulting from the transboundary movement of hazardous wastes and other wastes, including incidents occurring during illegal traffic in those wastes. The Protocol applies to damage due to an incident occurring during a transboundary movement of hazardous wastes and other wastes and their disposal, including illegal traffic, from the point where the wastes are loaded on the means of transport in an area under the national jurisdiction of a State of export until the time at which the notification of the completion of disposal of the wastes has occurred. The exporter of waste is strictly liable for damage until the disposer has taken possession of the waste. Thereafter the disposer is strictly liable for damage. A claim made pursuant to the Protocol must be brought within ten years from the date of the incident, or within five years from the date the claimant knew or ought reasonably to have known of the damage, provided that this is no more than ten years from the date of the incident. Those who are strictly liable under the Protocol, i.e. exporters and disposers, have to establish insurance, bonds or other financial guarantees covering their liability. The content of the Protocol will be applied by and enforced in domestic courts. Thus, it is essential that States fulfil their obligation, which is expressly provided in Article 10(1) of the Protocol, to make the necessary provision in their domestic legislative, regulatory and administrative regimes to implement the Protocol. The way in which this provision is made will depend on the legal system of each State and, in particular, on the national law regulating the execution of international agreements, i.e. whether a dualist or monist system applies. In a “monist” system, treaties may, without legislation, become part of domestic law once they have been concluded in accordance with the constitution and have entered into force for the State concerned. When legislation is not required, such treaties are described as “self-executing”. However, national constitutions may also require additional features for the execution of treaties such as approval of the parliament, publication in the official gazette, etc. Furthermore, depending on their nature and purpose, some treaties may require the promulgation of laws to be applied by national courts. According to the monist tradition, a self-executing treaty may override any inconsistent existing domestic legislation and, in some States, such a treaty may also override future laws that are inconsistent. However, where parliament is supreme, later legislation can override a self-executing treaty. Accordingly, under a “monist” approach, once the constitutional requirements have been met and it has entered into force for the State concerned, only very few (if any) of the Protocol’s provisions may require additional regulatory measures to be executed by domestic courts. In a “dualist” system, the rights and obligations created by treaties have no effect in domestic law unless legislation is promulgated to give effect to them; ratification of a treaty is insufficient to give the treaty provisions effect in domestic law. When the legislation is in force, the rights and obligations contained in the treaty are incorporated into domestic law and are enforceable in the domestic courts. By the dualist tradition, the provisions of treaties, as contained in the implementing legislation, will have the same status as other domestic law provisions and can be amended or repealed by later legislation. Accordingly, where the dualist theory applies, all the provisions contained in the Protocol will need to be incorporated into the domestic law in order to be applied by domestic courts. In most countries, guidance in respect of the relevant applicable rules can be obtained from the Ministry of Justice or the Ministry of Foreign Affairs. The management of health care waste is an issue that is being looked upon from both a public health and an environmental point of view. Such different perspectives may lead to gaps in visions and understanding, and even definitions. 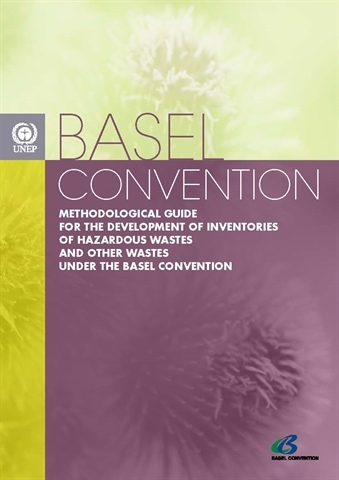 This document has been elaborated jointly by the World Health Organisation (WHO) and the Secretariat of the Basel Convention (SBC) to harmonize the different view-points, and develop a common approach for the preparation of national health care waste management plans, that address both the health and waste management dimensions. These guidelines have been reviewed by the Basel Convention Regional Centre for English speaking African countries, based in Pretoria, as well as the Basel Convention Regional Centre for French speaking African countries, based in Dakar. The manual is the result of experience gathered over several years (2000-2004) in conducting technical assistance projects in a number of countries in the Sub-Saharan region. It aims at identifying appropriate practices for health care waste management by providing assessment and planning tools applicable in most sub-Saharan countries of Africa. The document is divided into four sections. The first section contains fundamental information people involved in health care waste management at any level should be aware of; definitions, characterisation and classification of health care waste, associated risks and basic protective measures for employees, minimum observance that any health care facilities should comply with, key management principles, sound treatment and disposal technologies applicable to each category of waste. The second section presents the actions that should be taken as a first step to assess the current situation before developing a national health care waste management plan. The relevance of such a plan and the implementation of realistic, practical and sustainable solutions, tuned to the needs of countries, depends on the accuracy of the initial assessment. The third section provides guidance for the establishment of a national health care waste management plan. It describes how to develop plans according to specific objectives to be used by the planning officers of the central, regional and municipal Governments to improve all aspects of health care waste management. Complementary to the development of health care waste management through sets of specific objectives, a holistic approach is necessary to address efficiently all the specific aspects of such a plan. Finally the fourth section provides guidance to develop a strategy to implement a health care waste management plan at national and regional levels. It is important and necessary, during the implementation phases, to reinforce the collaboration between the central, the regional and municipal authorities to improve the health care waste management practices and to find out pragmatic solutions for their sound disposal. The Guidance Document has been prepared in such a way as to address the need for guidance in developing national or regional hazardous waste management strategies as well as in managing such wastes in an environmentally sound way. Provide a framework for the further preparation of technical guidelines for the wastes subject to the Basel Convention. Recovery is a complex issue because of its environmental, trade and economic implications. It includes all the steps involved in recovering useable components of wastes so that they may be re-used, and the management of the unusable residues. This issue of transboundary movement of hazardous wastes destined for recovery operations could be reviewed in the context of the comprehensive management of such wastes and the environmental costs of using the analogous virgin materials. Waste management policies recognize the value of residues and wastes for their potential as economically useful materials or sources of energy and their potential for avoiding the environmental and economic costs from the extraction and processing of virgin materials. In future, cleaner and production methods, low waste technology and hazardous waste avoidance may help to reduce waste generation at source, but recycling and recovery operations would generally be preferred to landfilling and incineration. Recovery operations have disadvantages. There is always a danger of sham recyclingwastes moved for final disposal in the guise of a recovery operation. Genuine recovery operations can be polluting. The availability of a cheap and easy recovery option can reduce the incentive to find and use other cleaner production options, contrary to the principle of the waste management hierarchy. The waste management hierarchy is explained in Chapter IV, and the advantages and disadvantages of the recovery of waste are discussed in more detail in Chapters VIII and IX. One difficulty in reviewing the subject is the lack of sufficient quantified information or access to it about what hazardous wastes are exported to developing countries, what, if any, recovery technologies or processes have caused problems in developing countries and what environmental problems have occurred as a result. In contrast to this, a large body of information is available from authoritative sources in industrialized countries on the many aspects of recovery. This includes information about trends in world supply and demand, statistics on transboundary movements within industrialized countries, role of the secondary industrial sectors, priority waste streams more likely to be subject to recovery, the present extent of recovery, the present extent of recovery, current proven and developing technologies and environmental and health impacts of recovery, processes or operations.